The homemade aromas of baked bread is a universal delight. 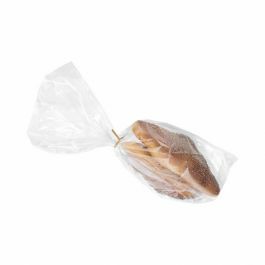 Our PE side gusset bags are perfect for keeping bread loaves, breadsticks, and rolls fresh.The 1GE5415 bag measures 5" x 4" x 15" and is made of durable 1.0 mil polyethylene. 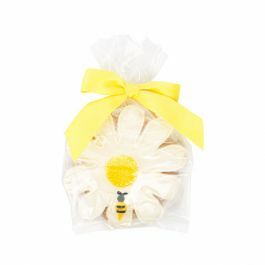 Bags are packaged in an outer bag with a round dispenser hole for easy storage and use. Food safe. There's nothing like the homemade goodness of freshly baked bread. PE side gusset bags help maintain the aromas and moisture of bread and other baked goods. 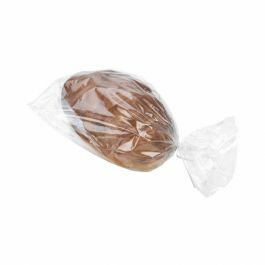 Our 1GE5415 bags come packaged in an outer bag with a round dispenser hold for convenient access and storage. This bag measures 5" x 4" x 15" and works great for bread loaves, croissants, breadsticks, dinner rolls and more. Made of durable polyethylene, this 1.0 mil bag on a roll offers easy packaging for busy kitchens. The bottom of the bag is crimped for added strength and reduces the usable space by 1/2 inch. This bag offers high clarity and expandable side gussets to accommodate your bakery items. Outer Dimensions: 5" x 4" x 15"
Most popular use is for packaging baked goods.